About Daito Kogyo Vietnam Co., Ltd.
Daitoh Vietnam is based Amata Industrial Park, Dong Nai Province, a wholly owned subsidiary of Daitoh Industry Co.,Ltd Japan. We will attend the exhibition “Business Alliance for Supporting Industry” which will take place in Ho Chi Minh City, October 10th to 12th 2013. Our booth is ME3 in JETRO section. Attend “5th Exhibition Supporting Industries in Ho Chi Minh City”. Double Column Machining Center is arriving very soon. 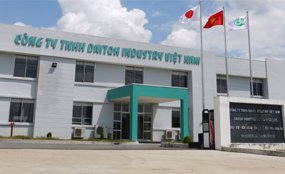 DAITOH INDUSTRY VIETNAM CO., LTD.